Its now Wedding Fayre Season again, and I have a number booked over the next few months. If you are looking for a magician for your wedding, I can’t recommend strongly enough seeing potential choices in real life and get them to show you what sort of thing they do. You will also get a flavour of their personality and whether they are suitable for your special occasion. There will be other dates added to these and I will update this post as and when I get more dates. Hopefully I will see you at a Fayre and show you some great magic. 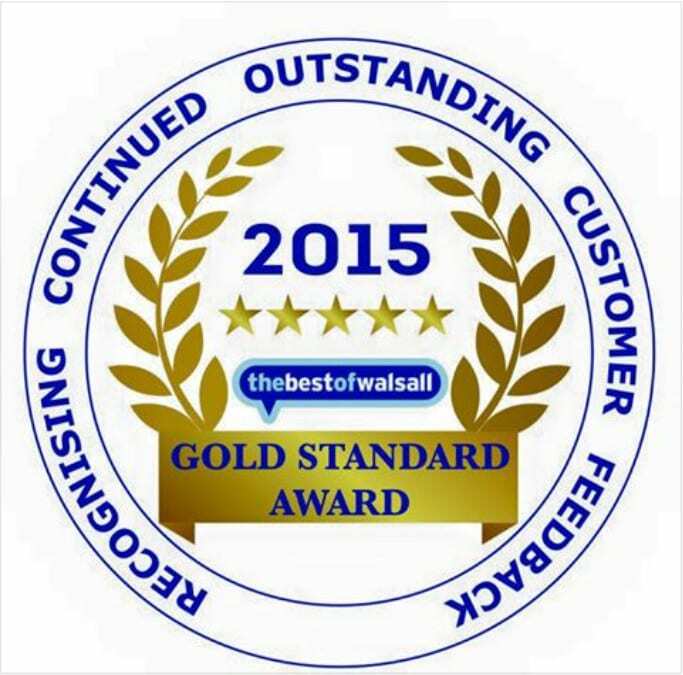 I’m delighted to say I have been awarded the Gold Standard for Continued Outstanding Customer Feedback from The Best Of Walsall.This means I must be doing something right. Many thanks to all those who have left me kind reviews. I work with Danielle at The Holiday Inn J7 where she decorates the room for their weddings. She will accommodate any requests and has a huge choice that will literally suit any taste. If she doesn’t have it, she will get it! She also has a showroom based in Walsall so you can go and see the samples of what she can provide.